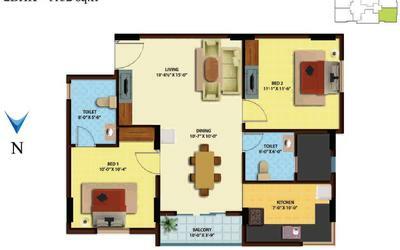 How Far is Ganga Ishana Apartments? Ganga Foundations Pvt Ltd is coming up with elegant residential apartments at Kolthur titled Ishana Apartments. Each apartment is carefully designed for the best look, beautiful interiors, sufficient ventilation and offered with world class amenities. 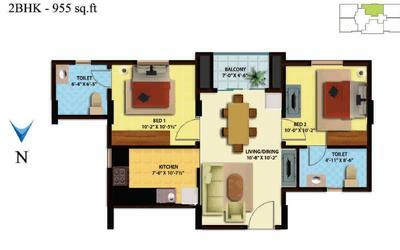 Offered in a range of 2 BHK, 3 BHK these are built with top branded floorings and fittings. 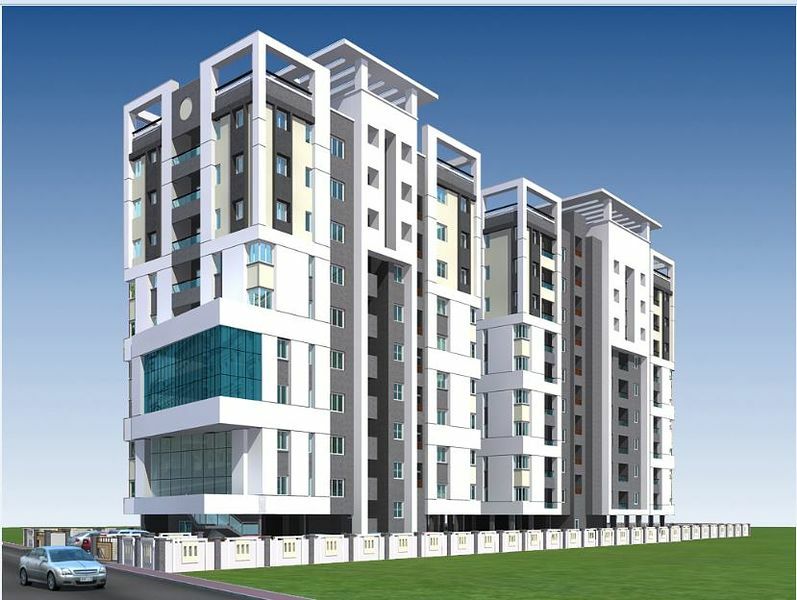 Basement & Stilt + 9Storeyed R.C.C. Framed Structure with Block Masonry Walls. 24"X24" Vitrified Tiles shall be laid in Living Room. 16"X16" Vitrified tiles shall be laid in Bed Rooms & Kitchen. 12"X12" Non-Skid Ceramic Tiles shall be laid in Toilet. 8"X12" Glazed Tiles shall be laid for Toilet Walls. All Inner Walls to be finished with two coats of putty, One coat premier paint & 2 coats of Emulsion. All External Walls to be finished with one coat of primer two coats of Exterior Ace. Kitchen with Polished Granite counter top & Ceramic Tiles upto 2' above the working platform. Main Door to be 1st Quality Teak wood frames & Solid Core Shutter finished with t.w finish laminate. All other doors shall be of Kongu Frames & Soild Core Shutters finished with t.w finish laminate. Fittings shall be good quality Steel Fittings. Geyser points shall be provided in both Toilets. Washing Machine point shall be provided in one in Service Area. Cable Line provision shall be made. All Tap Fittings shall be of METRO/ESS ESS make. All Sanitary fittings shall be Parryware/Hindware make. Both Toilets shall be fitted with 2 in 1 Mixer Taps. Entrance Safety grill door shall be provided & shall be finished with Enamel Paint. Total Nos: - 4Lifts of a Reputed Brand.